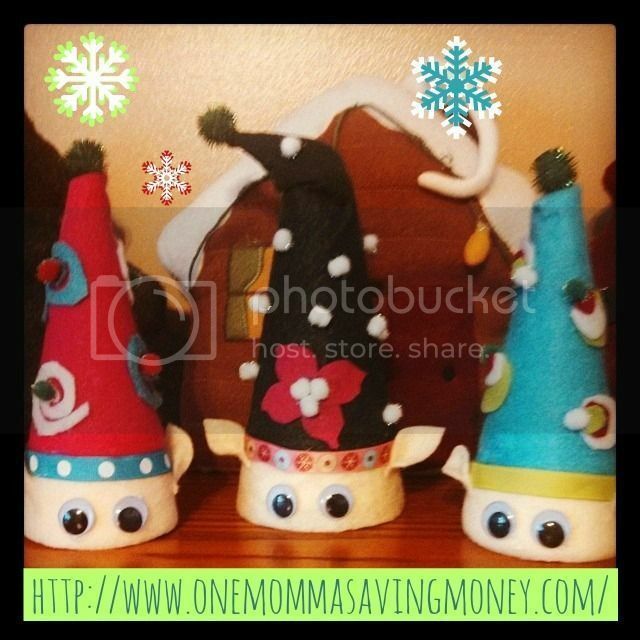 Looking for a fun and super cute craft project? Then why not make some festive elves for decorations. 1. Cover bottom of cone with glue. Take a strip of the flesh colored felt and secure to bottom of cone. 2. 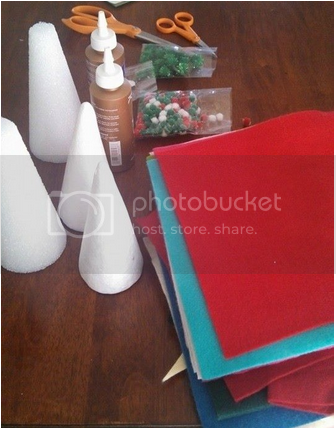 To make the hat, cover top of the cone with the glue and begin wrapping the felt hat piece around it, smoothing as you go, then glue and wrap the other half. If needed you can also use a hot glue gun. 3. To cover hat/face seam, I glued ribbon remnants around each head. 4. Cut out point ears out of flesh colored felt and glue on the ears, decorations, and other embellishments. Make a unique elf and glue one hat down a little and make it look crooked!